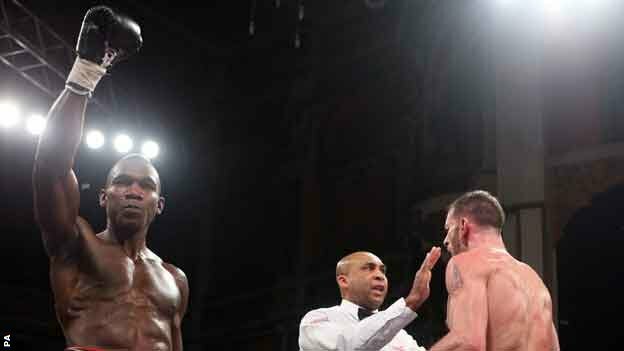 Last night, at the Olympia in Liverpool, Ovill 'The Upsetter' McKenzie (21-11 10 KO) retained his Commonwealth Title in controversial fashion when referee, Ian John Lewis stopped the action way too soon in the second round. The stoppage occurred when McKenzie landed one or two clean punchers which snapped back the head of Enzo 'Big Mac' Maccarinelli (35-6 27 KO), but the Welshman had his hands up at all times, and was fighting back. Once Ian John Lewis had broke up the action and stepped in-between the two fighters, the damage was done, he was stuck with a decision and he had to stop the fight. This reminded me of the Paul McCloskey/Chop Chop Corley stoppage, Ian John Lewis was the referee in that contest too. I still think McKenzie would have won the fight by Knock-Out, but Enzo was landing his trade-mark left hook to the body in the second round. But I think the barrage of punchers before the stoppage was the beginning of the end for Enzo, who deserves a rematch, but should retire. Six knock-out losses does not look good on your record. Ironically Ian John Lewis is the same referee who let Shannon Briggs take a brutal twelve round beating courtesy of 'Dr Ironfist', Vitali Klitschko. It's better to stop a fight too early than too late. The only reason why Ian John Lewis might get away with last nights premature stoppage is because it was Enzo Maccarinelli. Any other fighter and he would be in serious trouble with the BBBofC. So what did you think of the Enzo Maccarinelli/Ovill McKenzie fight last night?